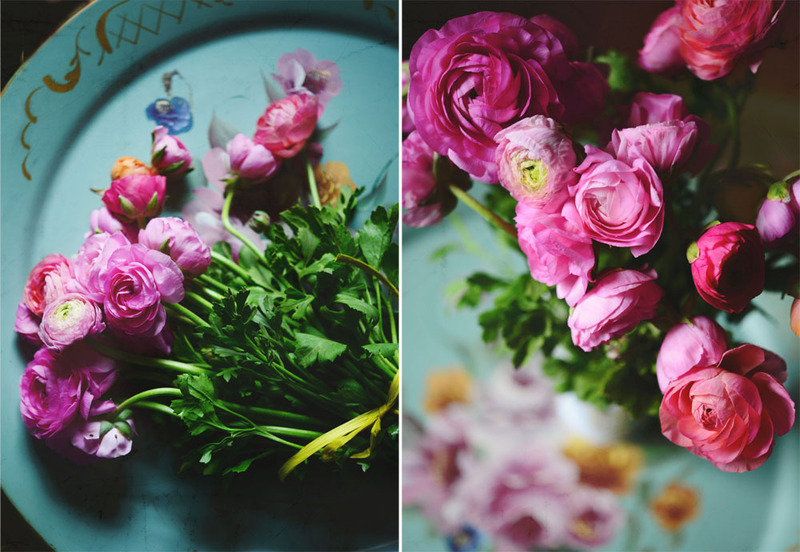 I think the time you played with the ranunculus produced some pretty photos of them. Have a good time in England. Mary, your Pink Ranunculus is beautiful. Happy to hear your photography is doing well. Have a great trip to London with your daughter, sounds wonderful. Happy May to you! I wish I could grow ranunculus. Gorgeous photos. Travel safe and have a wonderful time in London! Gorgeous mosaic, Mary! Have a wonderful time in London with your daughter! It is my first time visiting your blog. I like the mosaics you have. 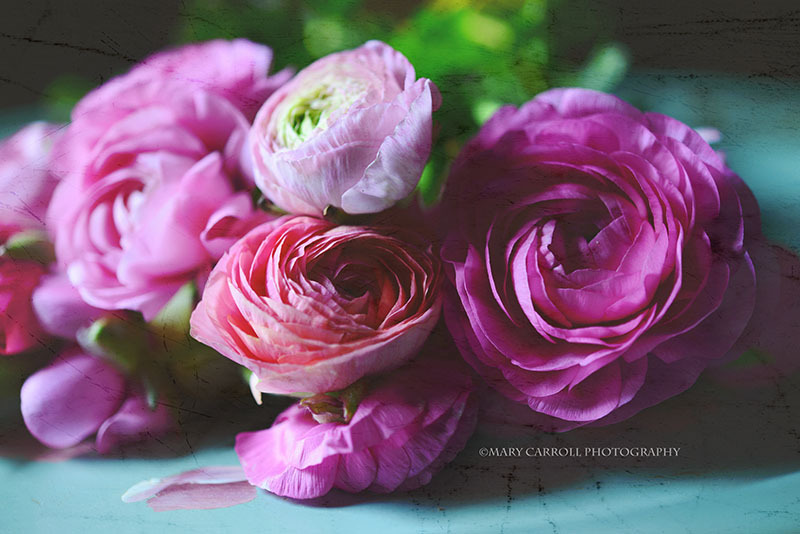 Your photos of the ranunculus are beautiful! Have a wonderful and safe trip across the pond! Thanks for taking the time to host again this week. Oh, Mary, the pink ranunculus are amazing! Good luck getting everything done this week -- and have a wonderful trip with your daughter. See you in a few weeks! Oh those flowers are so pretty! Enjoy your time in London! These are so lovely! Have a wonderful trip. 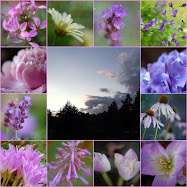 I love joining in with Mosaic Monday, thank you for hosting this party. I love your pink rannunculus photos. So lush and romantic. Beautiful ranunculus. I love the way you've placed them on the plate. Have a wonderful trip, Mary. Thank you for hosting Mosaic Monday and Thursday Inspiration. Best wishes for a lovely trip and your ranunculus are amazing! Thanks for hosting especially when you are busy preparing for vacation. Mary, your top photo made me think of a painting by one of the Dutch Masters - it is very beautiful. Oh my your Pink Ranunculus are so pretty. I love all of your pictures. Oh how I love ranunculus!! Yours are exceptionally beautiful! So lush... there is just something about that flower... Thanks for hosting the mosaic linky! I think those are the most incredibly gorgeous flowers, they are just amazing! The Ranunculus are lovely. Thank you for hostessing Mosaic Monday. So pretty! Have a fun and safe trip! Beautiful flowers! That trip sounds like a lot of fun. Enjoy! There came my favourite! :) Such pretty pink Ranunculus. Thanks for hosting Mosaic Monday. 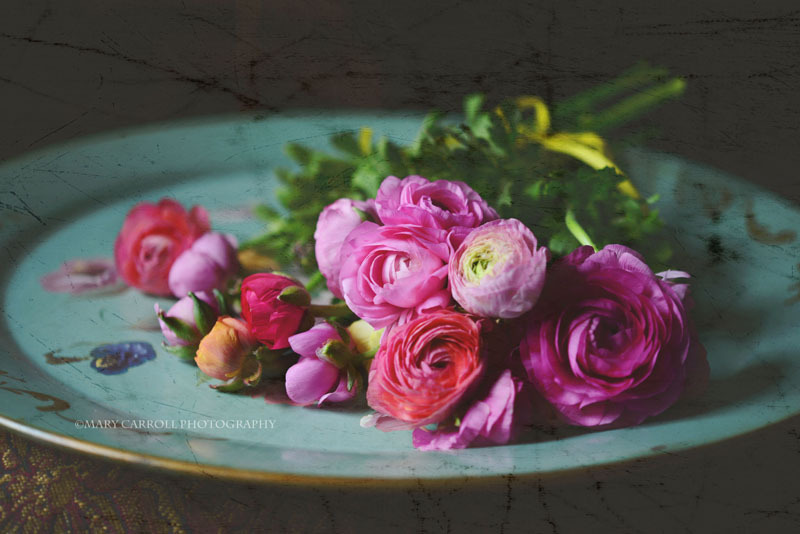 I so love ranunculus, they are so gorgeous with the lovely plate. The flowers in shades of pink are wonderful. I do hope that you enjoy your journey to London...what fun! Looking forward to hearing all about it! The colors are breathtaking Mary! Thank you for hostessing the link up. I agree with Katy Noelle. your photos are like Old dutch masterpieces. I visited your blog quite a lot in the past, closed my blogs and finally reopened one and happy to visit you and your talent again. All the best and happy stay in London.